AUCTION: Friday, 29 March 2019 at 12:00pm Harcourts Wellington City Office (unless sold prior). Lovingly, for 76 years since 1943 before the end of the 2nd World War, this attractive, warm and inviting home has been tightly held and loved by one family where all their memories were made. But now is the time to say goodbye and let another lucky family enjoy its beauty and character which has been retained throughout the years since it was built circa 1890. Instantly appealing from the street, 104 Elizabeth Street oozes charm and grace. The floor area of 150m2 comprises four double bedrooms, two bathrooms, open plan kitchen, bright and airy dining with skylight, and living room overlooking the attractive well-established fig and olive trees. French doors open out to a spacious private and sunny two-tiered deck - a perfect place to relax and unwind at the end of a busy day simply to dine alfresco, entertain your friends and enjoy the last of the sun. 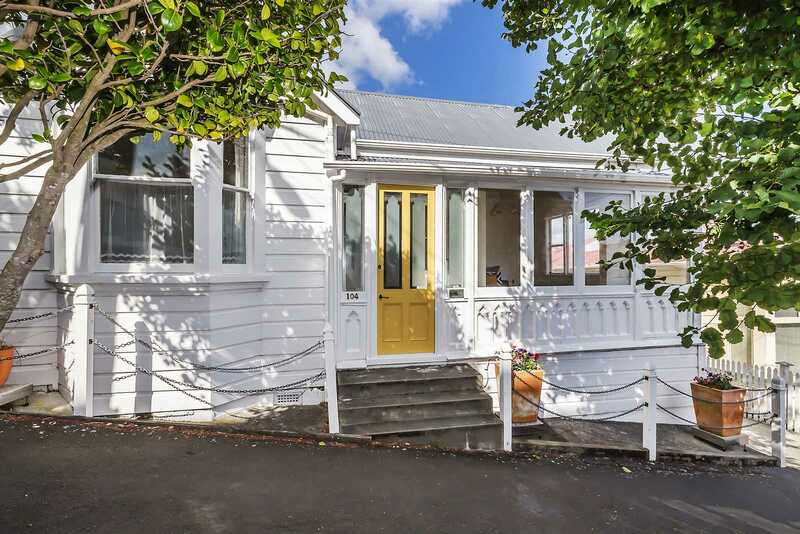 This Mt Victoria charmer will appeal to those who are looking to move into a sought-after area and secure a property that they can put their own magical touch to. Polished original wooden staircase, bay windows and two off street parks are just some of the special features this gorgeous warm and inviting home has to offer.